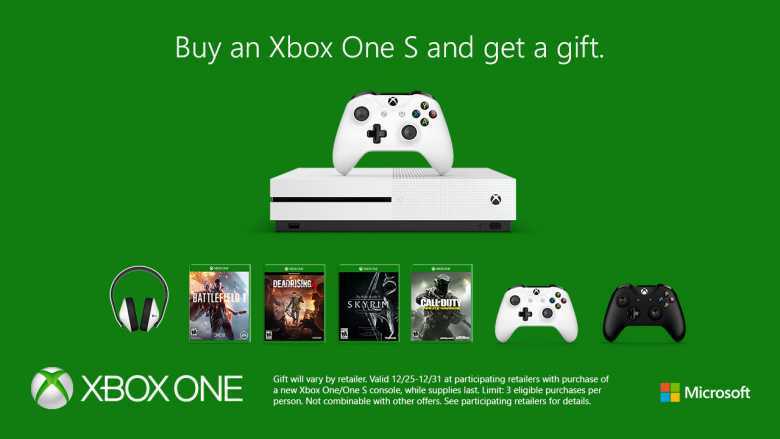 Microsoft is giving away more free offers so that buyers could end their holiday shopping with an Xbox One S console. The console comes with a free gift and if you choose Target as your retailer or go with the Microsoft store, there are some great games to pick from. Getting a new console is just the beginning because you obviously need a couple of titles to make the most out of it. Besides, the purchase is never complete unless you have the accessories like an extra controller or headset. With a view to meet what their customers want, Microsoft has announced a close out 2016 deal using which people can get an amazing gift along with their Xbox One S purchase. The offer is valid with all major retailers in the United States and the gifts will vastly vary based on your location, availability of stocks and the retailer you purchase your console from. The major players including Amazon, Walmart and Best Buy offer a free Xbox controller along with it. It’s probably the best deal to go with because unless you have an additional controller to play with friends or family, the holidays never feel complete. When purchased individually, they are usually priced at $60 but a bundled offer sounds awesome. The one offered by Gamestop is a free Xbox stereo headset. For gamers who spend a lot of time playing multiplayer titles like Battlefield 1 or Infinite Warfare, the Gamestop bundle makes a lot of sense. When you don’t have people to play with and enjoy giving out orders during intense multiplayer firefights a headset is essential. The accessory is being offered in white and black colored variants so that you can go for the one that best suits your gaming setup. Microsoft’s official Major Nelson blog confirmed that the free game bundle with the Xbox One S console is available only with Microsoft Store purchase or with Target. 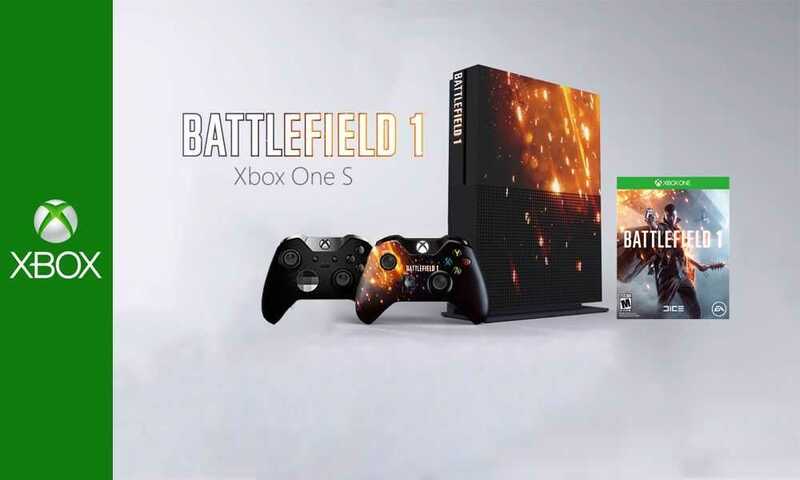 The free game titles offered include Battlefield 1, Call of Duty Infinite Warfare, Skyrim Remastered Edition and Dead Rising 4. You can pick only one out of the titles being offered. Apart from these offers, almost all retailers provide a $50 discount card that brings down the price of the Xbox One S console to unbelievably affordable levels. It makes it easy to buy the gaming console for yourself or even gift it to others during the holiday season as a gesture of love. We expect more titles to be out in the first quarter of 2017.